Here are some spawns I created in the last days and some cool new monsters! i combined sword, axe and club fighting into 1 skill called melee fighting. this removes the need of making all weapon types available and having to balance them. with the removal of those 2 skills we could also add two new ones! i changed completely how wands works! now they have attack like other weapons. the damage of all wands is based on their attack, the players level and their wand fighting skill (a new skill). i also added an attack speed skill, you can train it by using special weapons and each advancement in the skill increases your attack speed by a tiny bit. im also planning on adding alot more simpler properties that items can have, for example it could be dodge, just overall damage increase and stuff like this. another small thing is I added fast trainers outside of temple, there you gain skills twice as fast and its to encourage people hanging out outside depot instead of being afk in trainers. I like the new unique features! Good job, I'll be sure to be there when the server comes online! there's some of the new stats and also our charm container which is explained below. i also added a new system that is inspired by charms from diablo 2 or u can call them trinkets / jewels depending on the games u have played. i changed the store inbox to a "charm container" and inside this you can put 4 charms and they cant be the same ones, and each charms gives stats like attackspeed, skills, crit, damage reduction, damage increase, mana leech and more. ooh and i also kinda switched how bows and ammo work. for example now bows will work without ammunition and most of the attack will come from the bows and the ammo will just give small bonuses and u can use bows without ammo. This seems really nice, cant wait to play. I have an idea regarding your upgrade item question @Evolunia ! Also! Please open the server! Cant wait! 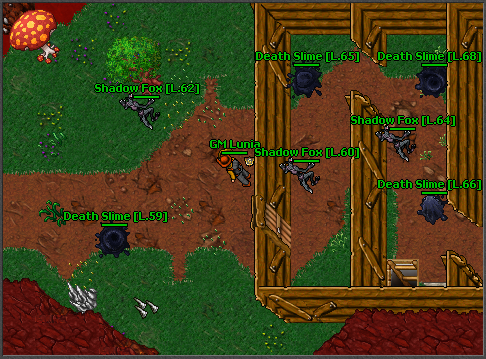 hmmmm, its nice idea but im not a fan of random items in tibia, because often u get best items from quests and hard bosses and such things u only do once in tibia so having random stats on that would be kinda weird i feel, and in diablo u can get any item from any monster soo it makes more sense for a game like that i think. Ok! Please notify if you do open a test server! I would gladly help you out. You're a badass programmer Tons of neat and innovative stuff happening here. Please don't give up on this server, I would love to play it! 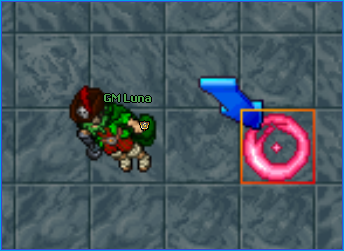 i added functions in sources to make it possible for me to use players items and make players cast spells, this is for example used by our ingame healing bot. i changed all existing item rewards,,, before in quests you could usually choose 1 item for your vocation, but now instead I removed all those vocation requirements, and added new stats to those items, so for now in some quests you can choose if you want a defensive item, maybe a item that increases attackspeed by a lot or maybe something that gives crits. this will make characters abit more unique. and I also added our custom item attributes to exisiting items. i also changed how exhaustions works on items,,, usually you can't push items/creatures/use general items such as shovel etc at the same time you are spamming an item hotkey. but now it's possible, i also made it smoother to use items while u are running around. When: Saturday at 18.00 CEST. Tons of quests and spawns that will last a long time for players to complete, you can also find tons of different missions and hidden rewards in most of our spawns. 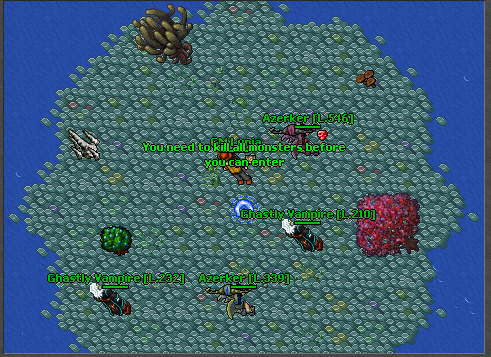 All of our monsters has a level indicating how strong they are. Monsters with skulls, meet skulled monsters that can either be stronger or weaker than they normally are, and they have different modifiers. Red skulled monsters will give experience when they are damaged, white skulled monsters will split on death, and more! Orb system, whenever a creature is killed they have chance to spawn an orb, walking into that orb will give you bonuses like double damage, double experience and more for a small period of time. 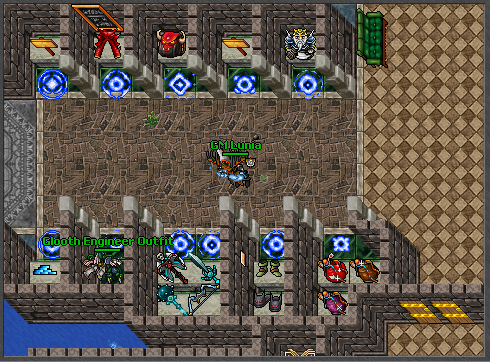 Alot of item attributes, on our items you can find tons of new item attributes such as: leech, chain, critical, bonus to weapon attack, damage increase and more.